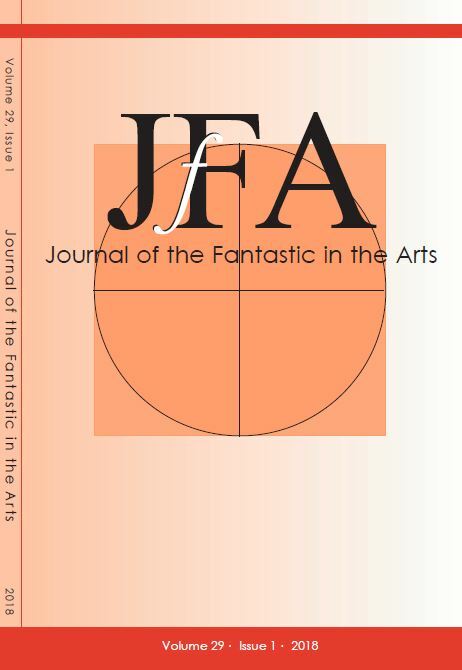 JFA, published since 1988, is an interdisciplinary journal devoted to the study of the fantastic in Literature, Art, Drama, Film, and Popular Media. It is published three times a year by the International Association for the Fantastic in the Arts out of offices of the Department of English and Philosophy at Idaho State University. Like the International Conference on the Fantastic in the Arts, from which it was generated, the journal welcomes papers on all aspects of the fantastic in English, American, French, Spanish, German, and other national literatures, as well as interdisciplinary approaches including music, philosophy, sociology, psychology, political science, and religion. All papers are in English. Articles are fully refereed and are indexed in the MLA Bibliography. Back issues starting with volume 6 are available, as are some earlier issues. Comprehensive alphabetical book review, author, and title indexes are also available on this site. Click on the contact button to direct a query concerning editorial and other matters to the Editor, Brian Attebery. JFA also publishes reviews of scholarly monographs addressing the fantastic, broadly construed. Reviews of fiction are limited to reissues of classic works with new introductions and scholarly apparatuses. Books received are advertised on the IAFA discussion list and IAFA members are encouraged to suggest titles for review. To mail book copies for review and for queries or reviews of English-language publications, please contact Jeffrey Weinstock. For reviews of works in languages other than English, please contact David Dalton at David.Dalton@uncc.edu.